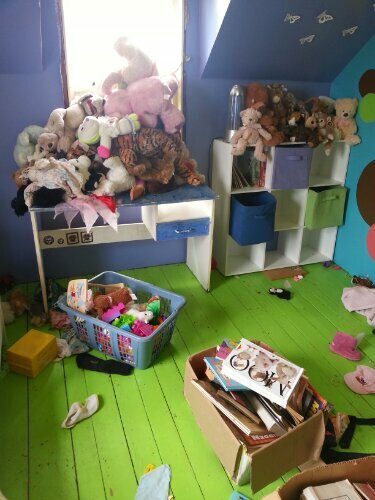 Currently cleaning up my oldest daughter’s room to make space for her “big girl” bed. Have to go through everything too since she’s turning three shortly and doesn’t have many toys for her age. Also, going to put a bit more organization into it so that she can help clean up from now on. Stay tuned and follow along for the updates on today’s project!